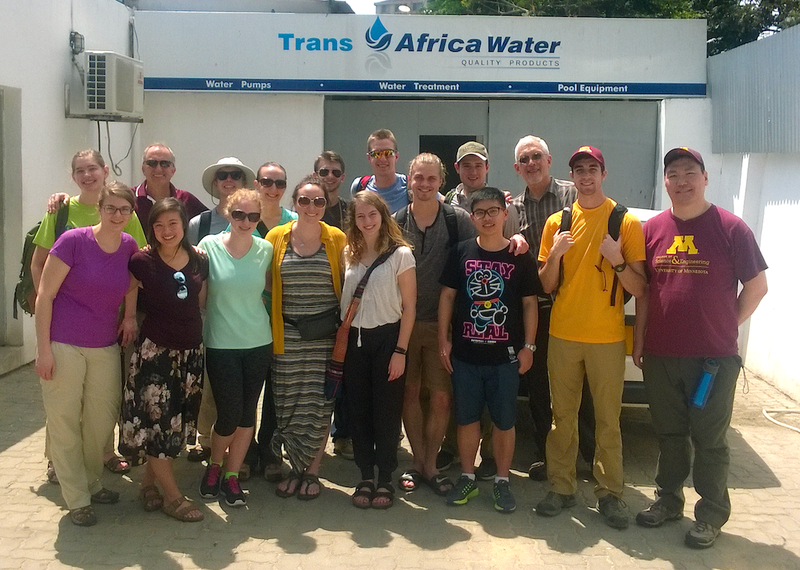 Today, we visited TransAfrica to learn more about water pumps and generators. We explored the Carver’s Market where we saw hundreds of ebony wood carvings, paintings, and other handmade crafts. We concluded the day by going to The Waterfront, a restaurant overlooking the Indian Ocean. We landed in Tanzania on New Year’s Day around 11:30 p.m. and took a bus from the airport to our hotel in Dar Es Salaam. In the morning, we ate a quick breakfast and went to visit TransAfrica, a supplier for pumps and generators. Moses, a local civil engineer, happily met with us and explained how he selects pumps that meet the needs of their customers. From this, we learned how to specify our system requirements and select a pump based on the depth of a well and the desired flow rate. After visiting TransAfrica, we ate lunch and explored the Carver’s Market. There we saw hundreds of ebony wood carvings, paintings, and other handmade crafts. Everyone there spoke English, but they were excited when we tried to practice our Swahili phrases. Finally, we concluded the night by going to The Waterfront, a restaurant overlooking the Indian Ocean. The food was delicious!